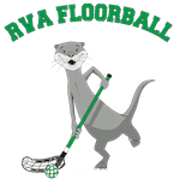 All player here at RVA Floorball will have different playing experience, being Floorball is new to the community. We all need to keep this in mind, that most of the children will have only played ice hockey, lacrosse, field hockey, roller hockey, or this may be their 1 st time playing a sport. We want to keep everyone safe at RVA Floorball and to achieve this we would like to encourage parents to partner with us, by going over some basic Floorball rules with your child prior to arrival. We will be providing all teams a review of the rules, when they arrive prior to game play. This is important for safety reasons and will help your child in avoiding penalties during game play. Games will be played with 3 periods of 15 minutes each. There will be 5 minutes breaks in between periods. Teams will create lines of 5 players, that will be allowed on the court together for 2 minutes of play time and then coaches will continue the rotation of lines. They will have the option to select their position with the coach there to help as needed. They will get a rotation during every game, which will be ran by the coach so that every child can play. Parents will be able to watch the game from the side and are encouraged to provide positive encouragement to all of the players involved.